You seek customer service and sales training to help your teams effectively cultivate, engage and nurture relationships with customers. But does your training partner have depth of expertise in your industry? Signature Worldwide does. From Fortune 500 companies to leading global hotel brands, Signature Worldwide has provided sales and customer service training to more than 30,000 companies in more than 50 countries in virtually every industry. We add to our extensive experience every day and look to train 50,000 businesses in more than 100 countries over the next 10 years. We take pride in using our own training techniques to create legendary experiences for our customers, which is demonstrated by our consistently high Net Promoter Scores and strong client retention rates. Ready to work with a respected global customer service and sales training partner who has experience in your business? Contact us to get started. 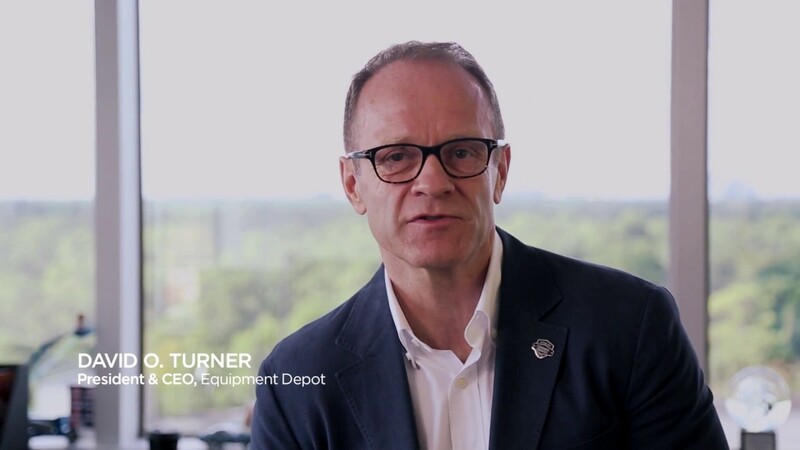 Watch as David Turner, President and CEO of our valued partner Equipment Depot, discusses how employee training and Signature have helped the company in their mission to be the leading service provider for their industry. As the leader in hospitality sales and customer service training, Signature Worldwide has conducted programs for every major hospitality brand in the world. We've been providing training to the world's most renown and highly respected hotels, resorts, casinos and spas since we opened our door, which gives us unparalleled depth of knowledge in this highly specialized market. By applying our extensive experience in the industry, including a tenured group of trainers, we help global hospitality brands create legendary experiences by engaging and motivating their front-line sales and service staff. Signature Worldwide has helped dealer organizations representing the top 10 of equipment manufacturers to convert transactional and relationship sales in an increasingly competitive landscape while raising customer service standards. This applies to rental, parts and service departments. In addition, Signature has been the leading provider of customer experience training in the equipment rental market. Signature has worked with over 50% of the 100 largest equipment rental companies in North America. Signature Worldwide has helped virtually every type of multifamily property convert prospective renters into happy, long-term tenants. This translates into fewer vacant units and higher renewals. As the result of our experience and tailored programs, many of the nation's leading multifamily brands have looked to Signature Worldwide's leasing and resident service training to retain their market position. Signature Worldwide has touched nearly every customer-facing industry since it opened its doors more than 25 years ago. We've conducted training in more than 50 countries, helping some of the world's most respected brands maintain their positions as customer service leaders. Our team of instructional designers have an extensive background in adult learning and continuously research every industry we touch to ensure our programs address their unique sales and customer service environments. Every program is customized to your specific needs and the unique challenges of your market. Put our industry-specific customer service and sales experience to work for you.